Before I go into the specifics I want to say how fortunate it is for my wife and I to have the privilege of living in Ecuador. The purpose of this article is to review some of the costs and to debunk some of the myths that you read about concerning unrealistic low costs. Everyone is is an individual and what is a good for me may not be that person’s choice. Last year at this time I wrote an extensive post on my family’s cost of living. You can see the post here . I highly recommend you read the post because I’m only going to amend the costs that have changed. Here is what has changed from last year. Food in the Mercados and SuperMaxi have increased significantly in costs. For example Milk has increased from $1.07 to $1.37 a liter. Thc cost of fruits and vegetables have also increased significantly and the prices of imported products (i.e. liquor, wine, specialty items) have gone up as well. Water and Electricity have also risen. Today, I paid my water bill and it was $7.95. Last year it was $4.95 per month. We are enrolled in the IESS Medical insurance program. The premiums increased about $4 per month but more significantly last year 5 of the 8 family monthly prescriptions were on the formulary now it is 3 adding additional monthly medical costs. One of the houses on our street had a home invasion and for safety we installed an electric fence around the perimeter of the house. That amortized to an extra $50 per month for this year. We added fiber optic Internet since the previous provider could not provide adequate bandwidth for streaming video. That added another $30 per month. Airfare back to the United States once a year has increased and the cost of staying a month in the U.S. (i.e. rental cars, gasoline, food, presents) has also increased. Again I encourage you to read last year’s posting on costs to get the full picture and the difference between last year and this year. My point is that to flourish, travel and maintain good medical and dental health requires much more than you read in some of the comments and blogs. My estimate for 2015 has increased 10% from last year. 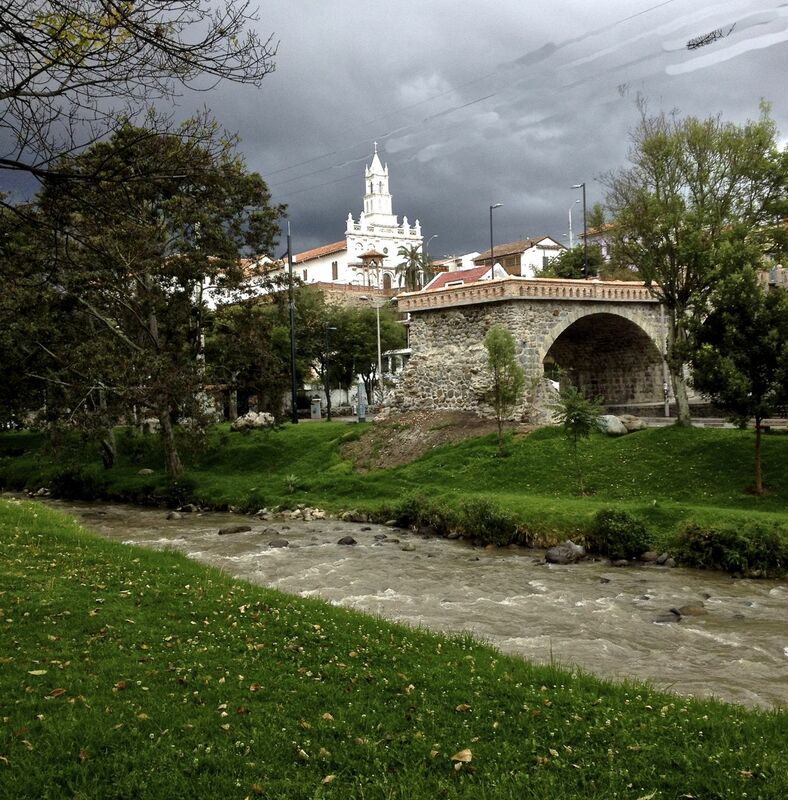 What Does It Really Cost To Live in Cuenca, EC. The short answer is- “It depends”. After living in Cuenca for 3+ years I think I have a realistic idea of the monthly costs. I presently live in a 2200 sq. ft 3 bedroom 3.5 bath unfurnished house. Propane Gas is also subsidized by the government. A 15 gallon tank delivered to the house is $2.50. I have never used over $10 a month which includes a propane room heater. House Phone My house phone bill has never been over $4 per month. General Labor is cheap. The minimum wage in Ecaudor is about $2.40 an hour. I am a married 69 year old in relative good health. I do not own a car and I prefer city living (within 2 miles of Parque Calderon). I walk every day (3-5 miles) and take the bus everyday. I do eat breakfast out 4 times a week. My wife and I go out once a week for dinner and twice a week for lunch. We shop at the organic markets, Feria Libre and SuperMaxi. Apartment, Condo, House. Rent or Buy? The majority of my friends rent their housing. Can you still find a rental for $300 per month? 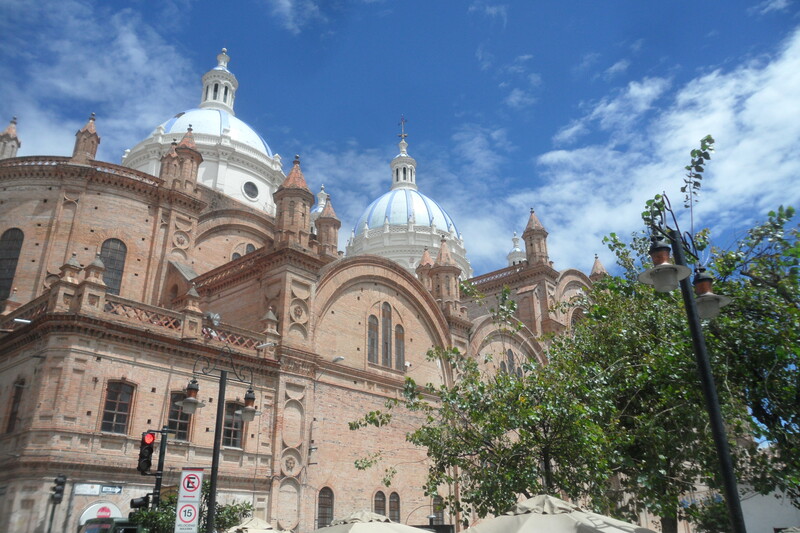 The answer is totally dependent on where you want to live and how far you need to commute to Cuenca. For my wife and I we chose location and the need for a garden. We are within 3 blocks of shopping, banking and 7 bus lines. When the Light Rail is completed the stop will be 400 ft from our door. The big question for most is whether to rent furnished or unfurnished. Our first two rentals were furnished. After 15 months we decided to furnish an entire house. You can surely find cheaper or used furniture but we spent $7000. We have two rescue cats. Generally, vet care is cheaper than in North America. But, good healthy cat food is twice as expensive and cat litter is 3 times as expensive as in the U.S. Good quality dog food is also expensive. The reason I bring up Poker and Plants is that I find that a few expats don’t have hobbies because they are on tight budget. Plants are generally cheaper here and there are many Poker, Bridge games in Cuenca. Both my wife and I had disastrous results with two private health insurance plans. The first one was always a problem getting reimbursed. The second one cancelled the plan one day for almost 200 hundred epats because they realized that we were submitting claims higher than the monthly premium. Presently we have the Ecuadorian Social Security Plan which has no copay or age restriction. As mentioned the premium is $81 per month for a couple. For certain you have to have lots of patience and a understanding of Spanish (or an interpreter) to navigate the system. Recently I had complicated eye surgery (vitrectomy) and there was no doctor in Cuenca to cover the operation. The alternative was to travel to Quito and convalese 1 month in Quito. I chose to pay out of pocket and have the operation outside of the system. In my past business life and now in my retirement I have lived by the motto that “Time is the currency of the workplace. In my case its retirement. I am not handy and will more often than not pay a professional to fix something. I also invest in the best and latest technology for my myself and my wife. Retirement should be fun and relaxing. We travel back to the U.S. once a year to visit friends and family in 3 different states. We are fortunate that we don’t haveto rent a hotel in 3 different states. Flights, food, rental car costs, presents, and returning clothes and technology make this a $6000 trip which amortizes to an extra $500 per month on to your budget. I am sure people can do this for less. Again, its a style of retirement we want in our lives. We all think we are invincible and immune to accidents. In Cuenca it’s not if you fall on the sidewalks but when. Previously, I mentioned that I ride the bus everyday. In the 3 years I have lived in Cuenca I estimate that I have ridden the bus over 2000 times. I can count on two hands with a couple of fingers left over to the number of completely safe rides I have experienced. There are 30 bus routes in Cuenca and I have never waited over 10 minutes for a bus. However, the bus drivers almost without exception would fail any drivers test given in North America for bus drivers. The bus is often moving when you get on or off. A good friend just hit his head on the window and his head was bleeding and the bus driver did not stop. All this is leading up to the following question. Does your budget include an emergency fund for accidents or medical emergencies that are not covered with insurance? For us living in Cuenca in a middle class life style in a unfurnished house with a garden, laundry and cleaning service our monthly budget is $2000. Can you do it for less. Of course. But I just can’t agree with budgets of $1300 per month that don’t include trips back to North America each year and an emergency contingency allotment. Feel free to disagree and comment.